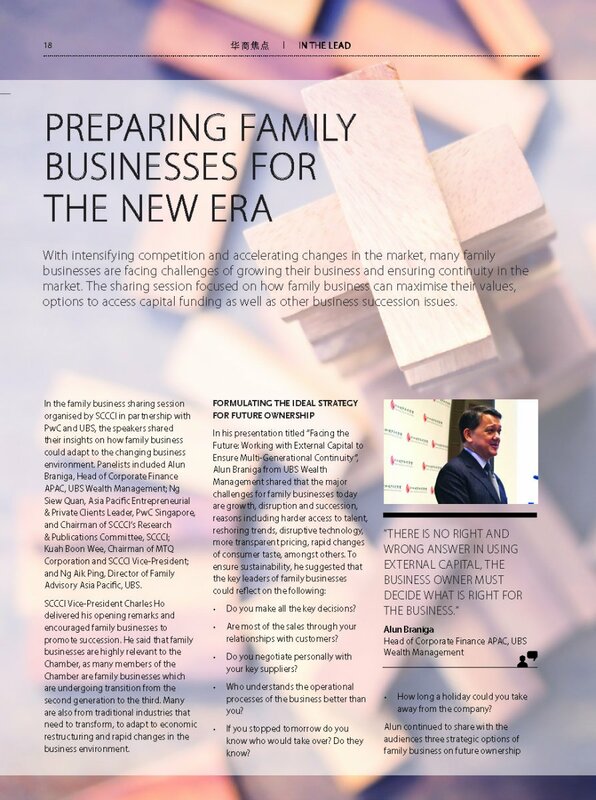 Family business is one of the focus topics of the SCCCI. Many of the Chamber’s Council Members and members belong to family businesses. Family Businesses form a key component of the business community in Singapore, creating employment opportunities and contributing to our economy. At a time when Singapore’s economy is restructuring, many family businesses are also transforming, and undergoing a transition process from one generation to the next. Everything you need to know about the SCCCI Family Business initiative is right here on this page.